This Sunday (30th June) the Elective Orthopaedic Centre, based at Epson Hospital, will be holding a charity walk to raise money for their Research and Development Department. 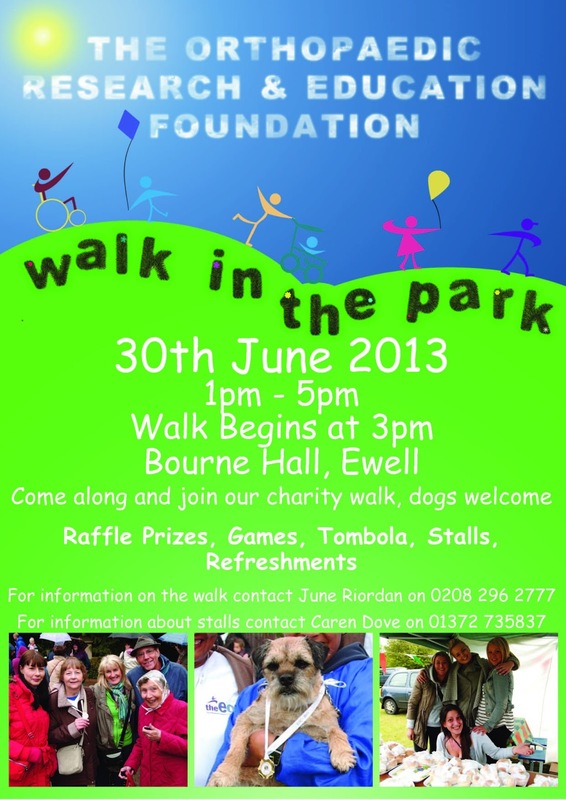 The walk will begin at 3:00pm at Bourne Hall in Ewell (KT17 1UF). The majority of walkers will be patients who have had Total Knee/Hip replacement here at Elective Orthopaedic Centre and they will be walking 1 mile. There will be lots of fun, games, prizes and refreshments on the day from 1pm until 5pm. You are encouraged to come along and enjoy the day! You don't need to do any walking yourself if that's not your thing. You are welcome to join in though if you want.